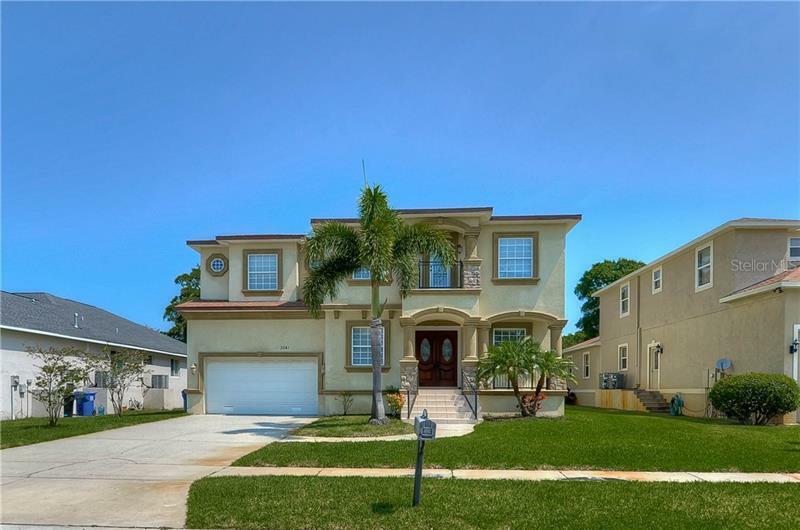 Welcome to this beautiful home on the prestigious Park St N of St. Petersburg. This is a one of a kind block home on an oversized lot in the Jungle Prada neighborhood. The property features new walnut upgraded laminate flooring, granite countertops, stainless appliances and wood cabinets in the kitchen, new travertine tile in the Florida room, new water heater and AC, and a crystal clear screened inground swimming pool. There is a lanai that will keep you comfortable for those outdoor BBQ's, and a circular driveway that allows extra parking. The master bathrooms has been upgraded with a stand alone tub and marble countertops, and fresh paint thoughout the home. As if it couldn't get better this home features a large laundry room and newer windows. All of this and just minutes to the Gulf of Mexico and downtown St. Petersburg. Come see this home today and make it yours tomorrow.